After the Chernobyl accident in 1986, Dr. McConnell made 40 trips to the Ukraine and Belarus where much of the fallout landed. There he helped to care for and study the effects of radiation exposure on tens of thousands of people exposed to nuclear fallout, including approximately 25,000 children. He is considered one of the world’s foremost experts in radiation-induced thyroid cancer. Hypothyroidism and hyperthyroidism are common conditions that can produce a variety of negative effects if left untreated. Laurie Chabot, RN, has worked with patients in the Division of GI/Endocrine Surgery since 2008, and prior to that, in other divisions at NYP/Columbia. 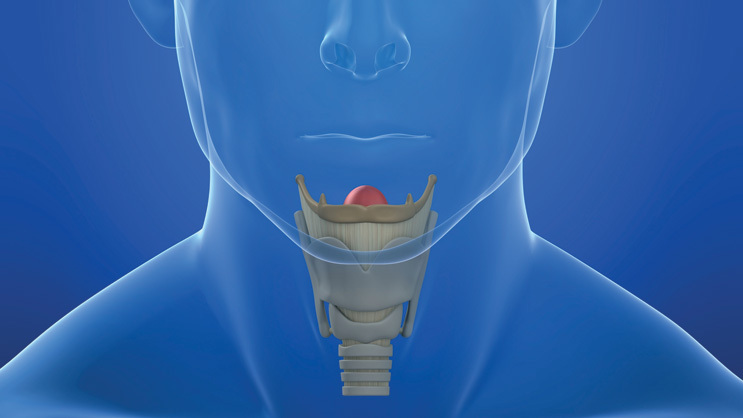 She is well versed in the concerns that patients have before thyroid surgery. In this post, she shares the most common questions she discusses with her patients every day. The Columbia Thyroid Center has been recognized by the Office on Women's Health (OWH) as one of its Trustworthy Sources for information about thyroid disease. Salila Kurra, MD, Co-director of the Columbia Adrenal Center, discusses some common post-surgical treatment options for thyroid cancer. Dr. McConnell is coauthor of the chapter "Chernobyl and Radiation-Induced Thyroid Cancer" in Surgery of the Thyroid and Parathyroid Glands, 2e, Gregory Randolph, MD editor; June 2012. Answers after Fukushima from world-renowned expert Robert McConnell, MD. Dr. Lee appears on the WAMC's Speaker's Corner series to discuss thyroid health and disease. Dr. Lee to coordinate a Symposium on the Surgical Treatment of Neuroendocrine Tumors at the American College of Surgeons annual meeting.